We understand the special role your pet plays in your family, and we are dedicated to becoming your partner in your pet’s health care. We treat your pet as we would our own. Our goal is to practice the highest quality medicine and surgery with compassion providing an emphasis on client education. 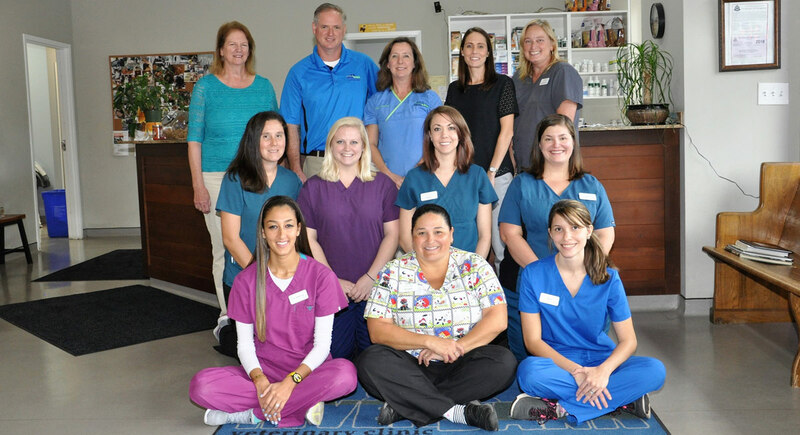 Riverbank Veterinary Clinic in Johns Island, SC is a full service companion animal hospital. It is our commitment to provide quality veterinary care throughout the life of your pet. Our services and facilities are designed to assist in routine preventive care for young, healthy pets; early detection and treatment of disease as your pet ages; and complete medical and surgical care as necessary during his or her lifetime. Thank you for taking the time to read about our veterinary practice and the services we offer. We welcome your comments and suggestions. Please contact us at (843)277-2250 for all your pet health care needs. Dr. Linnea Bredenberg was born in Baltimore, MD, but grew up in upstate New York near Syracuse. She received her undergraduate degree at Wellesley College before moving to South Georgia in 1992 where she attended school. She then enrolled in UGA Veterinary School to work on receiving her doctorate. She met Billy (Dr. Roumillat) in 1998 in her senior year of vet school, and graduated in 1999 from UGA. They then moved to the Low Country in 2000 where Linnea started veterinary work locally, and she and Billy were married in 2001 (the secret is out!). After years of practicing veterinary medicine together, in March of 2012, Linnea and Billy proudly opened their own practice together. The clinic and their children keep them busy. Linnea’s theory is “Who needs hobbies if you have 2 kids and 16 animals to take care of?” But in any spare time Linnea does find she tends to her orchard and garden. Dr. Billy Roumillat, a James Island native, received his undergraduate at Clemson with a degree in biology. He then received his veterinary degree from St. Georges University School of Veterinary Medicine. After attending school, he and Linnea (Dr. Bredenberg) moved back to Charleston in 2000. Both Billy and Linnea practiced veterinary medicine for over ten years. He and Linnea then opened Riverbank, their own state of the art veterinary practice on Johns Island. Billy and Linnea live on Johns Island with their two children, William and Blynn. Billy’s love for animals translates into his work as well as his home life; he and his family have 10 chickens, 2 goats, 2 horses, 3 dogs, 2 cats and fish. 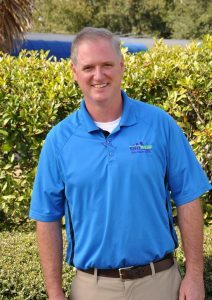 Billy’s hobbies include cooking, enjoying music, spending time with his family, and water sports. Dr. Beth Coco was born in Michigan but spent most of her childhood in Northern Virginia. She received her undergraduate from College of Charleston, where she met her husband Kevin. She then went on to earn her veterinary degree from Virginia-Maryland College of Veterinary Medicine at Virginia Tech in 2008. She spent some time practicing in Greenville, SC and Northern Virginia before her family settled back in Charleston in 2014. Beth and Kevin live on James Island with their two young boys, Landon and Benjamin. Their furry children include Rugby, a Doberman mix, Sawyer, a Retriever mix, and two cats, Nash and Tilda. In her free time, Beth enjoys reading, traveling, fitness, outdoor activities and spending time with her family and friends. Debbie, our fearless leader, has extensive experience in the banking industry. A lifelong Charlestonian, she reigns from West Ashley, but now lives on Johns Island with her husband, Bill (her high school sweetheart!). Debbie enjoys spending time with her son, Billy (Dr. Roumillat), her daughter, Beth, and her five grandchildren. 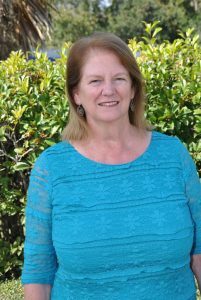 When not managing the clinic finances or keeping the staff in line, Debbie enjoys cooking, water sports, hiking and gardening. 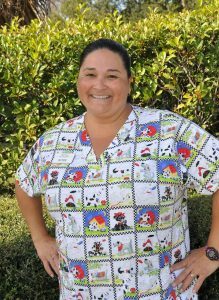 Debbie is new to the veterinary field, but loves her job, and especially enjoys meeting clinic patients and their owners. Lindsay, originally from Atlanta, GA, is a 17 year veteran of Charleston. 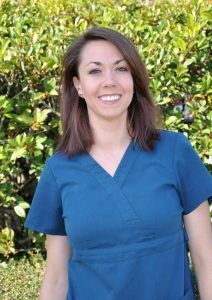 Lindsay has over 16 years of experience in the veterinary field. Outside of work, Lindsay enjoys outdoor activities, spending time at the beach, shopping, cooking, reading, gardening, and spending time with her husband, Doug, her son, Douglas, and the newest family member, Laila as well as her four-legged kids: Little Guy, a 9 year old boxer-lab mix, Cavatappi, a Great Dane mix puppy, and 2 cats, Fin and Minnow. Becky hails from Columbus, Ohio, but moved to Charleston 4 years ago for a change of scenery and to be closer to family. Becky is newer to veterinary medicine, but is no stranger to helping others. She has a degree in addiction studies and is currently working on her Master’s degree in social work. Becky doesn’t have much free time between work and school – she says homework currently runs her life, but she enjoys camping, fishing, decorating and crafting as well as her pets in the spare time she can find. Her fur babies are Izzy, an 8 year old terrier mix, and Copper a 5 year old Bloodhound. Jami is originally from a small town in Pennsylvania who came to Charleston in search of furthering her biology interests. She attended Millersville University for marine biology, spent five years pursuing that in Alaska, and found herself wanting something different. Three fur babies later, she found what she was looking for in veterinary medicine. She is currently a customer care representative, but would like to pursue studies into veterinary medicine. She enjoys anything outdoors, going to the beach, and spending time with her fiancé Carson and their three fur babies. Their four legged kids include: Emma, 17 yr old cockapoo, Dewey, 3 yr old pit mix, and Nova, 3 yr old terrier mix. 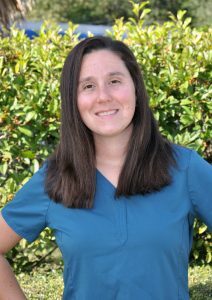 Summer graduated from Trident Technical College in 2008 with a Veterinary Technology degree, but has over 14 years of veterinary experience, and is a member of the South Carolina Association of Veterinary Technicians. Originally from Greenville, Summer moved to Charleston in 2006, but returns to Greenville regularly to visit her parents while her twin brothers and sister live here in Charleston. In between work, travelling, and spending time with her boyfriend Ryan, two fur babies, Cricket, a 2 year old Pit bull mix, and Timba, a 4 year old Siamese mix, Summer enjoys vacationing, reading, going to the beach, boating, and spending time with her nieces and nephews. Rosie was born in Chicago, IL, but being in a military family caused her family to move frequently to different places along the east coast. 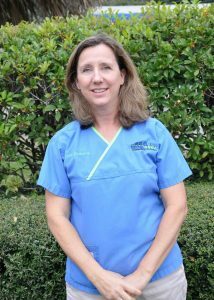 Rosie has called South Carolina home for the past 29 years, and she graduated from Trident Technical College in 2006 with her Associates degree in Veterinary Technology. Rosie and her husband Gregg have two four-legged children they enjoy spending their time with as well – Winston, a 3 year old Bassett hound, and Jazz, their Siamese kitty. In her spare time, a day trip to Disney World is not out of the question either. Meg has been a wonderful asset to have join the Riverbank family. 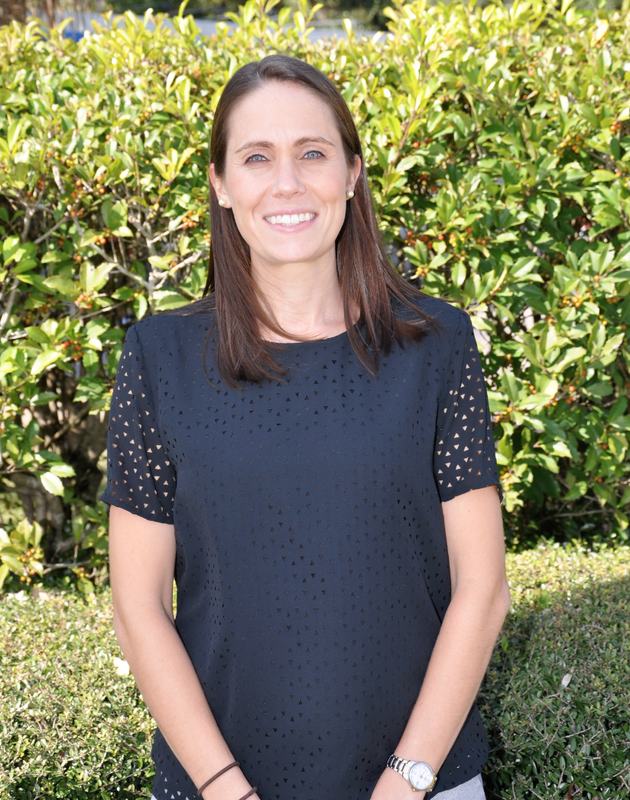 She came to Charleston from Santa Fe, NM in 2004 where after graduating high school she attended both Trident Technical College and College of Charleston with a strong interest in biology. 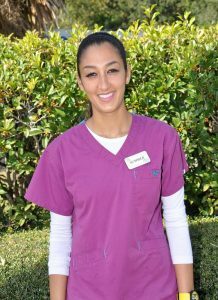 She later obtained an Esthetics license from Charleston Cosmetology Institute in 2011, but found her true passion was working with animals. Meg will graduate in December from Trident Tech with a degree as a licensed veterinary tech. Meg’s other interests include shopping, reading, spending time outdoors or at the beach, travelling to Santa Fe to see her Dad, or spending time with her family and friends here, including her furry ones, Dixie, a 13 year old Chihuahua, and Daisy Mae, an 8 year old hound. 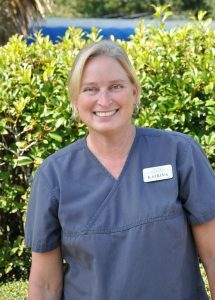 Katrina is no newcomer to the veterinary business and has 26 years of experience. Originally from Georgia, Katrina moved to Charleston shortly after hurricane Hugo. She got into animal medicine because she wanted to make a difference in animal welfare, and she has been doing so since then. Katrina lives with her husband, Sam, and her daughter, Georgia. Katrina enjoys horseback riding in her spare time, and has a small crew of animals of her own: chickens, 2 cats, Noodles and Lil Bit, a Labrador, Sissy, and Dee Oh Gee the horse. 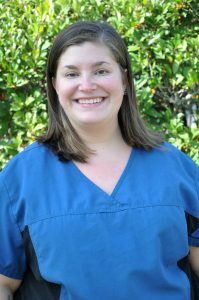 Bri, a Charleston native, is newer to veterinary medicine, but has proved to be a great addition to the Riverbank family. 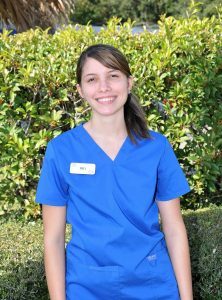 She is completing her pre-requisites at Trident and was accepted into the veterinary technician program for fall of 2016. She enjoys spending time with her fiancée Kyle, drawing, camping, and searching for waterfalls. Bri has two fur kids: Colonel, a 10 year old Puggle (with the cutest curly tail), and Jerome, her (potato sized) guinea pig.